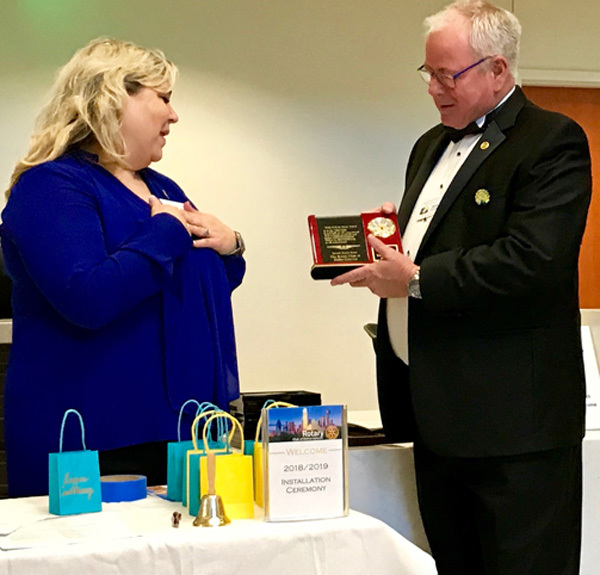 This evening, the Dallas-Uptown Rotary Club celebrated the our very successful 2017-2018 year under the leadership of President Teresa Kitchens, and the beginning of the 2018-2019 year under the leadership of President-Elect Durane Castleberry. A special thank you to Welltower, Inc. and Christina Cone for providing the venue for our induction party! This past year, Dallas-Uptown participated in many interesting projects, including the Dictionary Project, RYLA, Interact at Booker T. Washington School, Nicaragua Heart of Service, Trinity of Hope Haitian Meal Project, Polio Plus Bonton Farms, and our adopted Dallas Fire Station #1. Plus, our successful 4th Annual Men Who Cook fundraiser. We look forward to an equally exciting and productive 2018-2019!!! 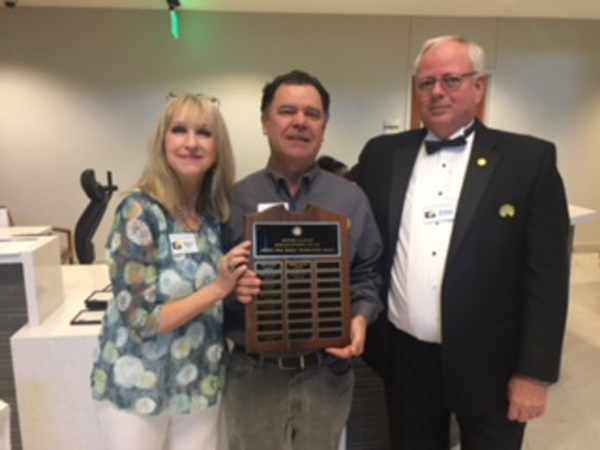 Also, this evening we awarded our "Rotarian of the Year" award, the RRIMC Pete Snider Membership Award to Vincent Lajoie. Vincent has served with distinction as Dallas-Uptown's Program Director for the past three years. Vincent is always available to help in so many situations, and usually has a resource or solution to assist in almost every project or event for our club. Congratulations, Vincent! !